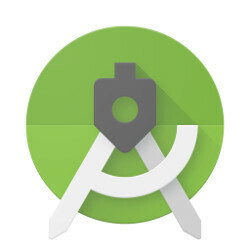 Previewed for the first time back in May at Google I/O 2016, the final version of Android Studio 2.2 is now available for download. It brings many improvements into the mix, but there are three major themes that Google highlights in this build: speed, smarts, and Android platform support. Android Studio 2.2 introduces a new APK analyzer, an enhanced Layout Inspector, an expanded code analysis, as well as IntelliJ's 2016.1.3 features. Also, Android Studio 2.2 adds support for all the new developer features in Android 7.0 Nougat, including code completion that greatly helps developers add features like Multi-Window support, Quick Settings API, and Notifications. Naturally, all these new features can be tested through the built-in Android Emulator that Google included as well. Google also announced that the Android Frameworks and the IDE have been enhanced and brought together in a single feature called Constraint Layout. The new feature acts like a layout manager that allows developers to design large and more complex layouts much easier. These are just some of the most improvements included in Android Studio 2.2, but Google confirmed that there are more than 20 new features across every major phase of the development process that you can take advantage of. Either it's design, develop, build, or test, you'll be able to experience them all once you get used with the new Android Studio 2.2. Keep in mind that if you're using a previous version of Android Studio, you can check for updates on the Stable channel by heading to Help / Check for update (Windows, Linux), or Android Studio / Check for Updates (OS X). Of course, Android Studio 2.2 is also available for download via the official page. In order to be able to use all the new features and improvements in Android Studio, it's recommended to upgrade toe the Android Gradle plugin version 2.2.0 as well. Cosmin V., Thanks for the article, but it would have benefitted from another proofreading. "some of the most improvements" & "recommended to upgrade toe the Android Gradle plugin". I use Xamarin and native UI, visual studio is the best ide so far. But I'll try this new release. Just in case you didn't know Microsoft bought Xamarin and naturally they developed and owned visual studio from the beginning.